There's still two more days to finish your UFO projects and link to the party! I'm trying to get in one more unfinished project...my garden. Earlier this week, I posted about getting my garden together. Ms. Kat, who may get her own spot in my about our family section since she's making regular blog appearances, brought over a few clippings from her yard. And when I say a few...I mean it seems like she brought over one of everything she's growing. I don't even remember the names of half the plants she brought over. We pulled out all the boxwoods and hydrangeas on one side of the house. A friend came over and took all those plants to her house and replanted them. Talk about giving back, right? 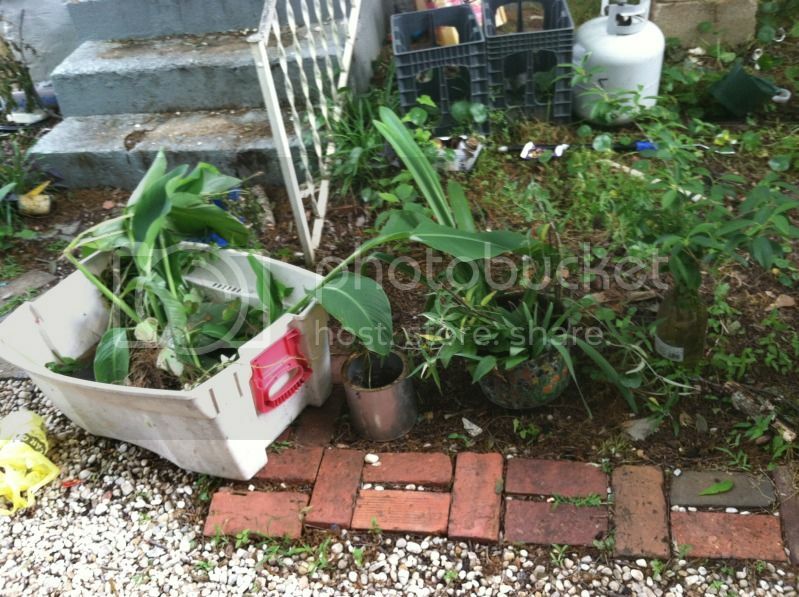 We're just moving these plants from one home to the next! In the area now void of plants, we're doing a vegetable garden. Leelee needs to grow a garden to pass off some Young Women's requirement for church. I've got the peppers in (I think. 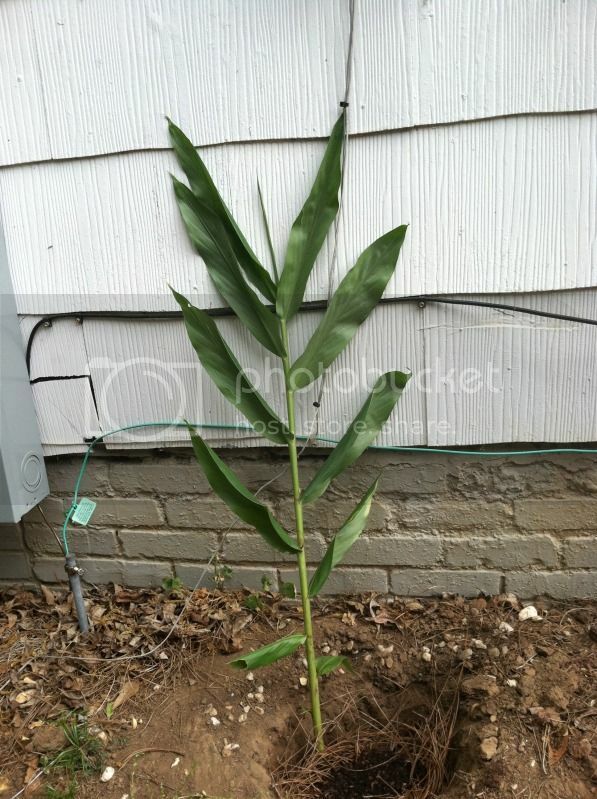 I just planted, no idea what I actually put in the ground). I'm going to get some leafy salad greens and some tomatoes. We still have the hydrangeas and boxwoods in the front of the house. I'm on the fence on what to do with them. On the one hand, the boxwoods are in front of the hydrangeas, and that's bad. The shrubs are getting so big, you can't see the flowers. I could trim the boxwoods and shape them but that requires effort. I'm not so much into effort for things that are useless plants. I really love the idea of planting edible landscaping. Like the ginger. It's gorgeous and it's food. I'm more likely to take care of it if it's going to feed my family. Meanwhile in the backyard, I'm trying to convince the husband to get me chickens for my birthday. And build me something like this chicken coop or maybe something more basic. Any gardening advice for me? 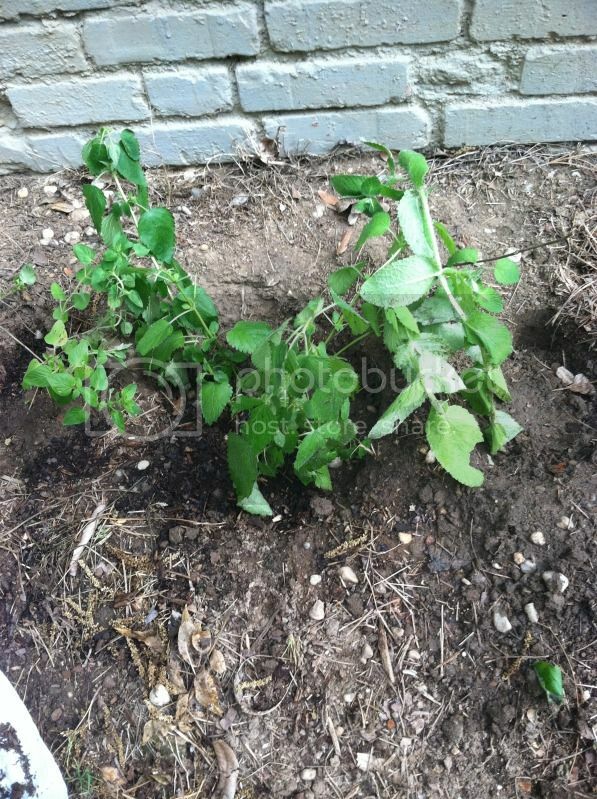 Can you identify anything that I've planted or that is in the big bucket of plants? 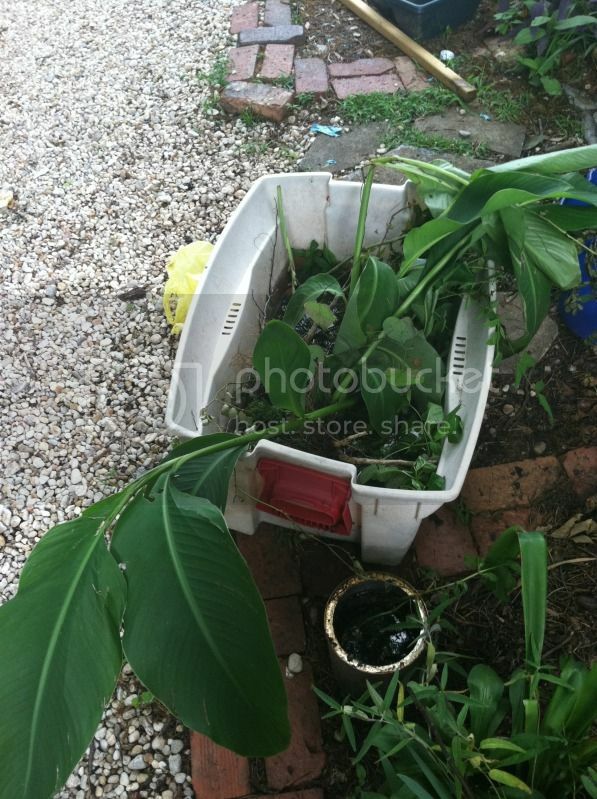 I think the big leafed plant in the bucket is probably a canna lily -- but don't hold me to it! lol. Thanks so much for linking on Busy Monday at A Pinch of Joy! Hope to see you again soon! Hello, Gardens are always in a state of change! My husband won't plant boxwoods just because he doesn't like the maintenance - it was his job growing up - that ruined him! I'm planning to plant a whole hedge of hydrangeas - by rooting them - would love to adopt any of yours - if I were nearer! I do appreciate you sharing with Home and Garden Thursday And I'm rooting for you for the chickens!